Samsung has announced its latest, the second generation, Galaxy A phones. They are the A3, A5 and A7 phones that will enhance the original series. The new models will have premium designs and enhanced camera systems. The A3 is the most basic of the latest A models. That has a 4.7-inch 1280 x 720 resolution display. In comparison, the A5 and A7 have 5.2 and 5.5-inch displays. The Galaxy A7 and A5 both have full HD 1920 x 1080 resolutions. The A phones also boast enhanced camera systems for better quality photography and video. For example, they include new Optical Image Stabilization that minimizes blur in photos. With their F.19 lenses you can can take pictures in darker conditions. Samsung has incorporated a Quick Launch option into the phones that enables users to launch the cameras by double-clicking the home button. The rear and front cameras have 13 and five megapixel resolutions. Note that these phones are based on the Android 5.1 platform. So that means they are not going to run with the latest Android 6.0 Marshmallow OS. Some might have expected it to launch with Android 6, which should be available when the new phones are out. 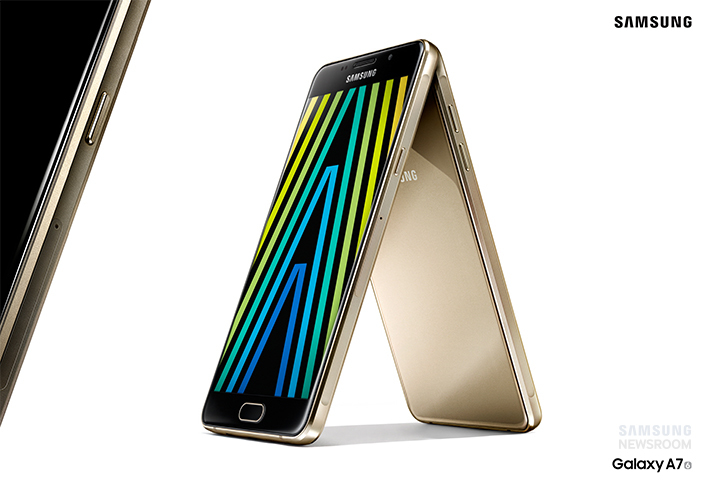 The Galaxy A7 has the highest storage specifications with up to three gigabytes of RAM. The A5 has 1.5 GB RAM and the A3 includes 1.5 RAM. All the phones have 16 gigabytes storage and include SD slots to expand storage by up to 128 GBs. Samsung has stated the new phones will be out in China by mid-December 2015, but revealed no pricing details. However, the U.K. launch date is April 2016, and perhaps later elsewhere. Below are a few of the Galaxy A phones’ specifications.